The refinement of your products takes place during the finish machining stage. 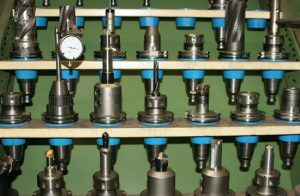 Here, we manufacture ready-to-install parts and components based solely on technical drawings with accuracy up to the micrometer. 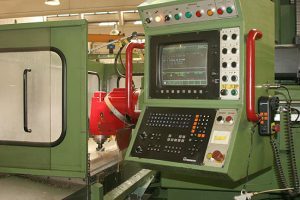 Despite the limited automation potential we face as a supplier of individual parts and small batches, we do employ state-of-the-art CNC-machines, e.g. with power-driven tools and automated part feeders. As a supplier and cooperative partner for our customers in the plant construction and engineering sector, the coal and steel industry, the transmission manufacturing, the electro and pump industries as well as glass mould manufacturing, we keep up with the demands of your branches and markets. Within our clientele, the trend towards safeguarding competitive advantages through concentration on core competencies is unmistakable. Alongside this development, outsourcing is increasing and strategic alliances in the area of supply chain management are gaining in importance. We want to remain your competent, reliable, flexible and preferred partner and supplier for ready-to-install parts and components in the future. Therefore, we will continue to invest in expanding our finish machining capacity. Pre-maching and finishing machining are incorporated into our integrated operating software via the PPS production, planning and controlling system. This enables us to track and trace your orders along the production process and to provide you with information about its current state of completion at any given time. In cases where the geometric requirements of your products require stress relief, we can provide it on our premises. During this process, the finished products are heated to a temperature of 325 degrees Celsius overnight. This thermal treatment relieves stress on the parts and components without changing the structural conditions.